This chilled out fella is the perfect inspo to get you to kick back and relax this Christmas season! 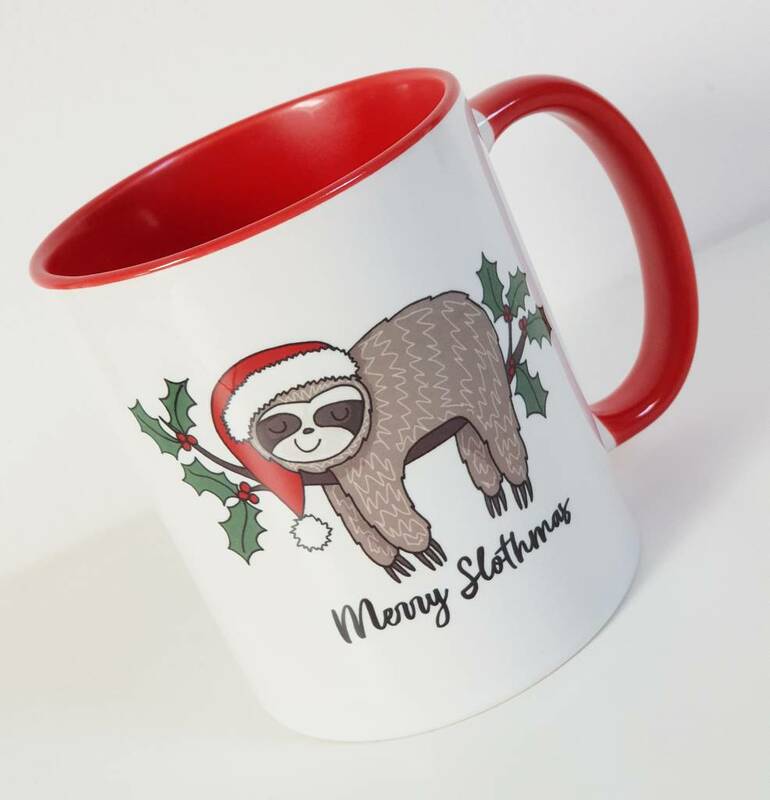 The perfect gift for the sloth obsessed! 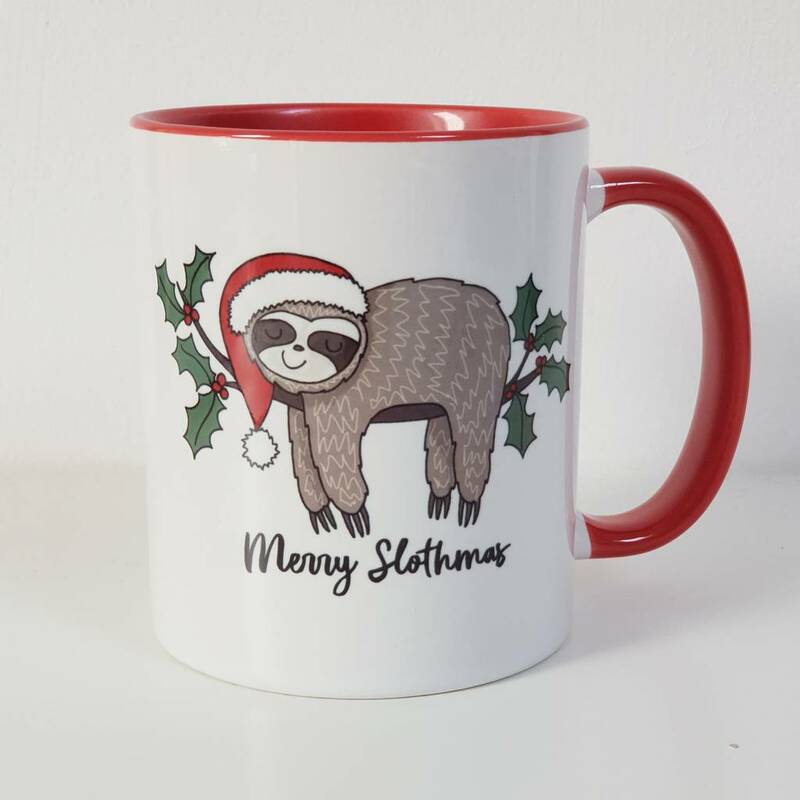 Add a touch of magic to your work coffee breaks with this festive mug or cosy up at home with a chrismas hot chocolate. It makes a special treat for Christmas eve, a lovely stocking filler for friends and family or a great secret santa idea. 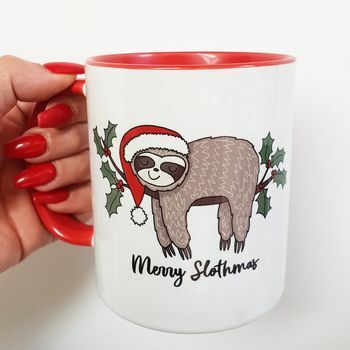 Why not go for the matching 'Merry Slothmas' Christmas Jumper too. These mugs are dishwasher safe but as they are extra special I always recommend hand washing in hot water. This product is dispatched to you by Syd&Co.